The company, Aperitivos y Extrusionados, was founded in 1983 in the town of Ribaforada (Navarra). This company had started his activity in 1979 under the brand Aspil. In 1993, we bought out Frutos Secos Abrego, located in the town of Andosilla, also in Navarra, and in 1995, we decided to bring together the production of both companies in Ribaforada. Four years later, in 1999, we became totally incorporated in the Borges Group, forming part of the Nuts Division, which brought together all the activities of import, export, preparation and sale of nuts and snacks. In the year 2000, the take-over merger of the two companies took place, while the diversification of production was continued by limiting the Abrego brand to nuts and assigning the Aspil brand to snacks. In 2006, a further buyout took place, involving the incorporation of the Travesa brand and some of iths products such as Tiritas, Lepitos, etc. One year later, in 2007, the Snacks&Co brand was created, aimed at the teenage and young people´s market. Towards the end of 2007, we severed connections with the Borges Group, and were bought out by the company, Twin-Screw 2007, owned by 5 shareholders. 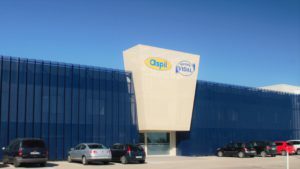 In February of 2011, the family company PAPAS VICENTE VIDAL was acquired, formed over 80 years ago in Benifayó (Valencia). 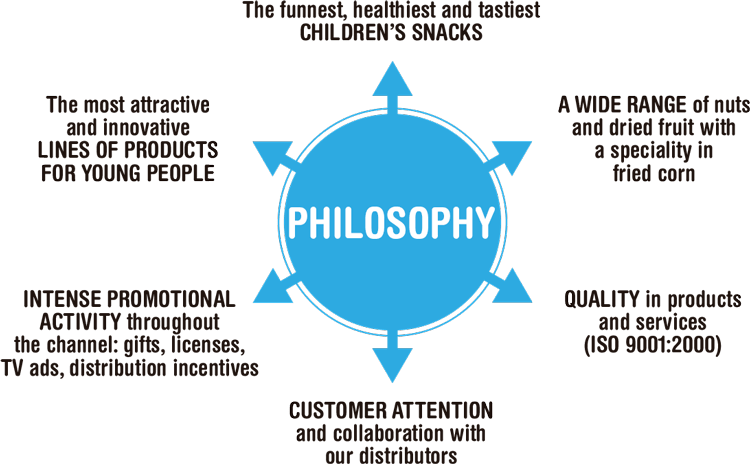 This is the largest, wholly Spanish owned national producer of own brand crisps and it mainly operates on the best national distribution chains. In july, Aperitivos Gus was acquired, this company was specialized in private label. Its location is in Leon. Aperitivos y Extrusionados is a company that markets its products mainly in Spain and they are available in superstores and both Canal Impulso and Horeca.